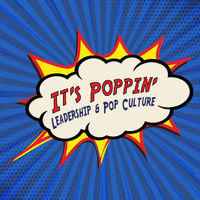 It’s Poppin’ is a weekly conversation series where students explore leadership topics through movies, television, current events, and popular culture. It’s Poppin’ will be held every Wednesday at 10 a.m. in Student Center West, Suite 475. It’s the perfect opportunity to enjoy snacks while exploring the issues you care about and discussing personal perspectives and ideas.